When I first started living on my own, I’ll be honest, rice was not my starch of choice. I usually bought bread, boiled pasta, or roasted some potatoes to round out a meal because, during my childhood, I burned rice more times than I’m comfortable admitting. But beans were always on the menu; whether in stews, salads, or on tacos, they’re a cheap and cheerful way to add protein and substance to any meal. I have since overcome my phobia of cooking rice, and this recipe is the perfect one for a quick weeknight meal. 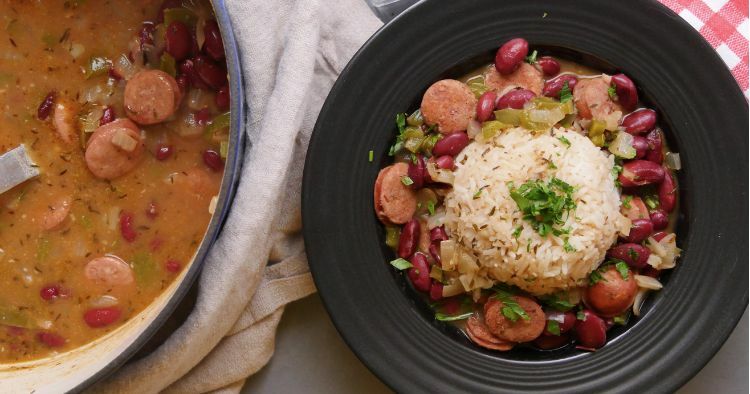 Red beans and rice is traditionally made in Louisiana on a Monday with the leftover bones and vegetables from Sunday’s dinner. But if re-purposing bones isn’t quite your style, you’re in luck! This version doesn’t require a whole meal of prep-work, and it still manages to bring all the flavor of traditional creole comfort food. In fact, you may end up hoping for leftovers from this meal! Roughly chop the onion and pepper. The pieces should be about the size of your smallest fingernail, but it doesn't have to be perfect. Also finely dice or press the garlic. Place a deep saucepan on a medium-high heat. Add the oil and spices, except for the bay leaves. Once the pan is hot, add the sausage and cook until it just starts to brown. Then add the chopped vegetables. Cook the mixture, stirring regularly, until the onions start to turn translucent. The peppers should still be crispy. Add the beans and stock, and let the mixture come to a boil, then lower the heat slightly. Allow the mixture to simmer for about 40 minutes, or until it becomes thick, stirring at regular increments and smashing the beans against the side of the pot every now and then. 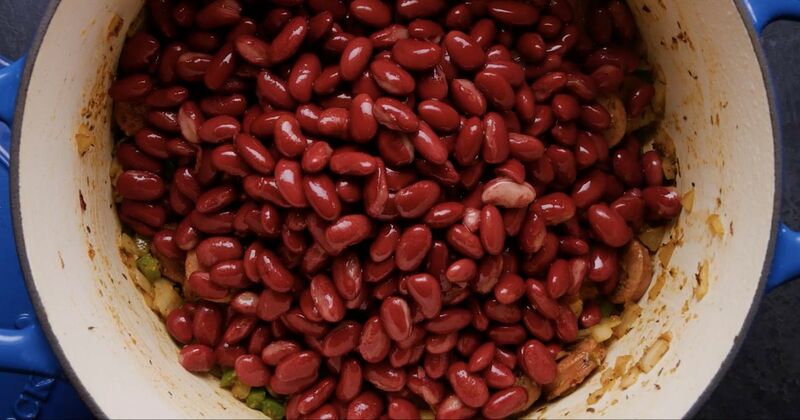 While the red beans reduce, place the dry white rice in a large pot with three cups of water, and bring it to a boil over a high heat. Reduce the heat to low, place a lid on the pot with a vent for steam to escape, and boil until the rice is fully cooked, about 20 to 30 minutes depending on the rice you're using. Once your red beans are nice and thick, taste them. Add salt and pepper to taste, and serve a scoop of rice with a generous portion of beans.